I don’t know what it is lately, but it seems more and more talented developers are commuting to PAX West from Australia. Which is actually a great thing, since they seem so full of unique ideas. Whether they try and reinvent the wheel or introduce something entirely different, these Aussie devs are quite talented at making compelling games. Which is why, when I was offered the opportunity to meet with Defiant Devlopment to demo Hand of Fate 2, I couldn’t say no. See, I got to demo Hand of Fate last time I was at PAX, and I really enjoyed it. It felt like a Dungeons & Dragons adventure brought to life, and the mysterious Dealer and the overarching plot just made it more fascinating. Though I didn’t personally review the original, I enjoyed it enough to want to tackle the sequel. 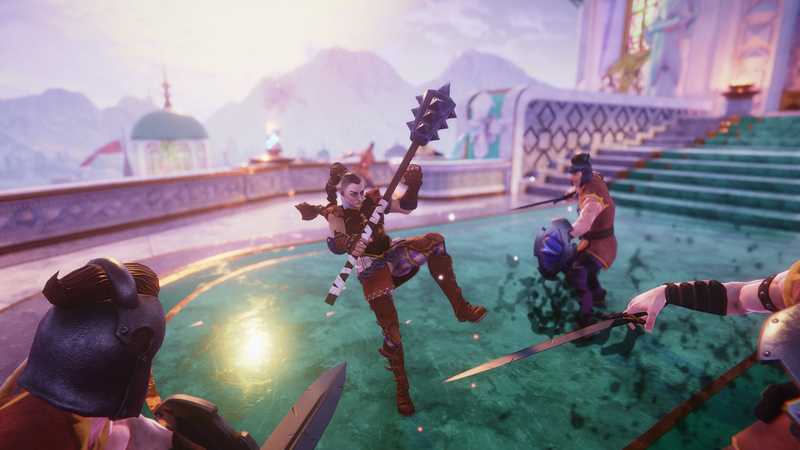 So how is Hand of Fate 2 shaping up? 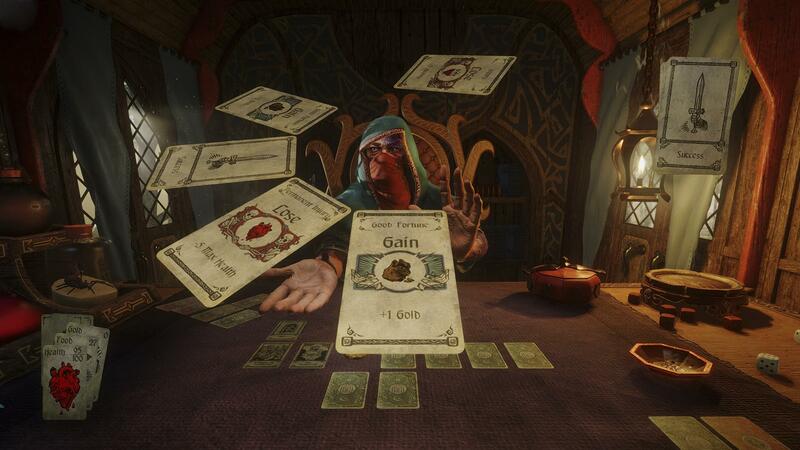 One thing that Hand of Fate 2 is doing a bit differently is introducing multi tiered challenges to the mix. Now each mission has multiple facets you’ll need to survive, all the while drawing cards that may help or hinder your quest. 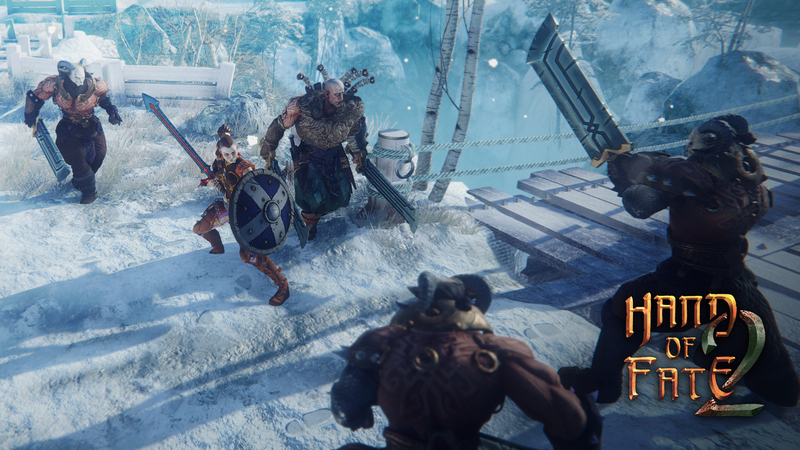 Another huge way that Hand of Fate 2 has improved is with the addition of companions, such as the mighty Colbjorn. Companion units serves to help assist you when you’re beset by hordes of foes, and they automatically protect you as best they can. This can be very helpful on especially crazy challenges. One I demoed specifically involved a bunch of thugs trying to lay waste to a village, and the villagers within it. 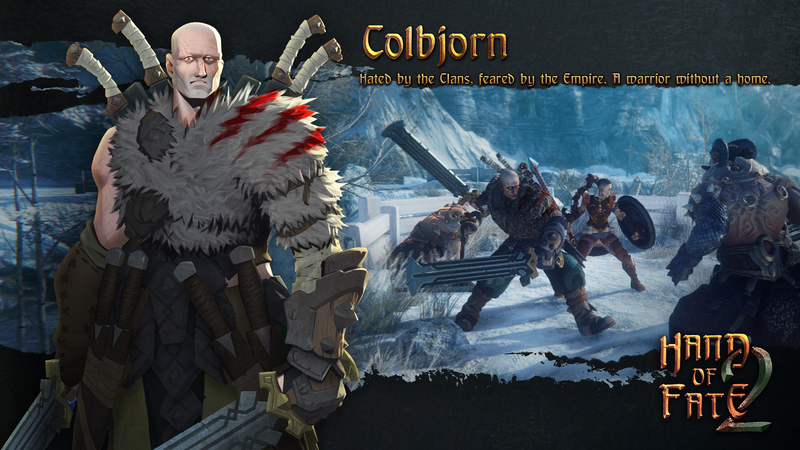 Had I fought them alone, it would have been a sad affair, but Colbjorn had my back, bashing heads and taking names. Another really cool way that Hand of Fate 2 differentiates itself is with the Fame system. Depending on how successful your exploits are, your Fame will increase. This isn’t just some arbitrary stat, though. It determines whether or not you are able to wield Legendary Weapons. These destructive dynamos serve to level the playing field in a big way, offering amazing bonuses to your hero. And though I wasn’t able to demo it, there are also two handed weapons now, which give you a whole new way to combat foes. Overall, I’m pretty pleased with how Hand of Fate 2 is shaping up. It’s slated to release for Steam and XBox One sometimes Q1 of 2017. It’s finally time to put the Dealer down for good!